Cornflower is an easy to grow hardy annual. Large double blooms. Up to 90 cm tall plants makes this strain an excellent variety for cutting and drying. 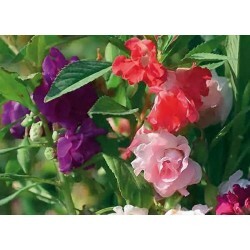 Very popular flower seeds and easy to grow too. Cut the dead heads and the plants will keep producing throught the growing season. Great addition to summer borders, attracts wildlife. Cornflower, a UK native, comes in a range of colors and are quite easy to grow. 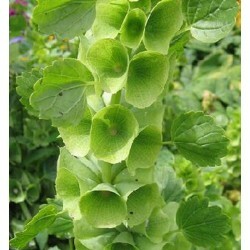 They are a favorite of gardeners for their beauty, variety, and absolute ease of care. Blooming from early June through late August, this tall lanky plant with it's vivid single flower blooms is an eye-catcher. Growing to a height of 1-3 feet, these flowers add a striking element to your garden. They don't need a lot of horizontal space which means they can grow in small garden spaces. 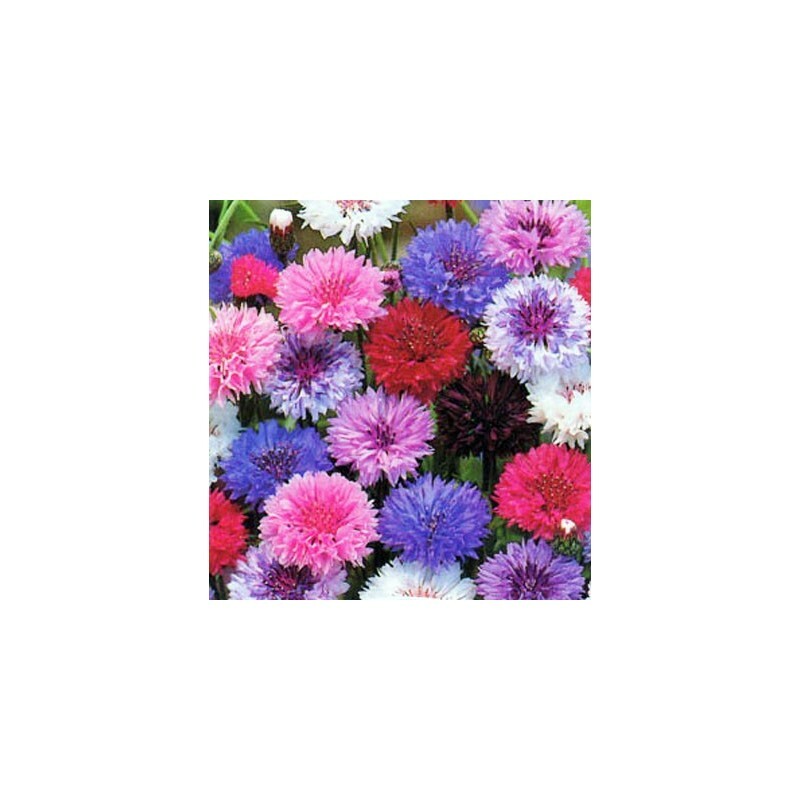 Cornflowers tall upright stems and small bright flowers make a brilliant filler for a garden border. 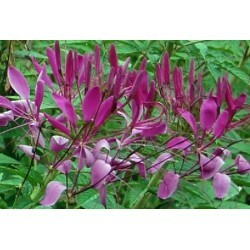 They grow either single or double flowers and can easily fit between other plantings. The flowers come in shades range of light pink, white, red, lavender and deep maroon, depending on the variety, with bright blue being the most common color. 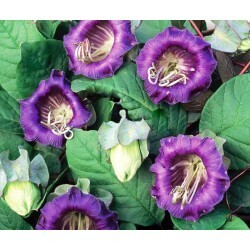 If you are seeking a beautiful blue for your garden, this flower will not disappoint. Cornflowers are used extensively in cut flower arrangements as well as dried arrangements. The leaves of the cornflower are covered in tiny white hairs, which makes them look a gray-blue color. Since most plants have green leaves, this is yet another way the cornflower stands out from the crowd. Cornflowers prefer a spot where they can get full sun, however they can also grow in places with partial shade. Well-drained, moist soils are best. In the spring, plant the cornflowers after the last frost. Sow these flower seeds 1” apart and 1/2” deep. The flower seedlings should appear in 7-10 days. When they have reached 2 inches tall, thin them to 6-8 inches apart. They don't need all that space to grow; they'll grow just fine when they're crowded, however the more space they have, the more they will bloom. You can also scatter the seeds in your garden space and thin them out, again when they reach 2 inches tall. These flowers can also be started indoors a month before the anticipated last frost. This will give you blooms earlier. Plant seeds 4-5 per pot, covering them with 1/2” of potting soil. Cornflowers need darkness to germinate properly. Place a clear plastic dome or layer of plastic wrap over your pots to maintain humidity and soil moisture. Put the pots in a warm place so the seeds can germinate. Take the plastic topping off when they start to sprout so they don't overheat. When they have reached 2 inches tall, they are ready to be transplanted. Water the transplants directly after putting them in the garden. To enjoy cornflowers all summer long, plan several successive plantings 2 weeks apart. The blooms from each planting will last about a month. It is rare to say this about any garden plants, yet here is another reason cornflowers are such a great choice. They only need infrequent watering. This flower is drought-tolerant and can be left alone for a long time. If they are over-watered, their stems will get soft and floppy. They do still need to be watered so don't neglect them entirely. If you see them wilting, they definitely need to be watered. Dead-heading, the trimming off of dead flowers, is important to encourage new growth. After a flower has spent it's bloom, simply pinch it off at the base and discard. The plant will now be able to focus it's energies on producing more flowers. Hardy cornflowers are generally resistant to pests, diseases, and fungi – another reason to grow these tall beauties. If you have one of the taller varieties of cornflower, you may need to stake your plants so they don't fall over. While cornflowers are an annual, often times they will re-seed themselves. If you want to encourage this, at the end of the season, leave the last dead flowers on the plant. Then, nature should do it's thing and you'll have year after year of cornflowers without even having to go through the, albeit simple, process of planting them again. In contrast, if you want to control closely where they are growing, make sure to remove all the dead flower heads at the end of the season so they don't re-seed in places you don't want them.